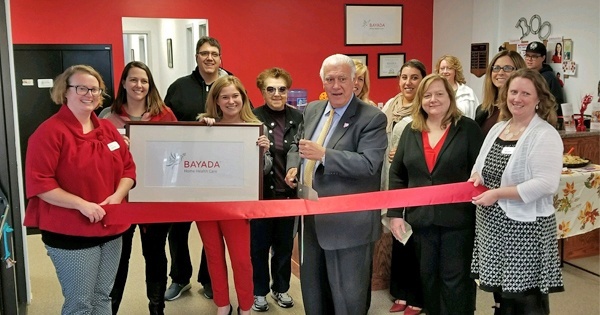 As Mayor Ted Gatsas presided over a ribbon cutting ceremony, members of the community, local businesses and health care organizations, nurses, home health aides, staff, and patients came together to celebrate the grand opening of BAYADA Home Health Care’s new location in Manchester, NH. BAYADA has provided assistive care services, such as help with bathing, grooming, and meal preparation, in the Manchester area since 2015. In their new location at 33 Lowell Street in Manchester, the Assistive Care office shares space with the first BAYADA office to provide pediatric care in New Hampshire. 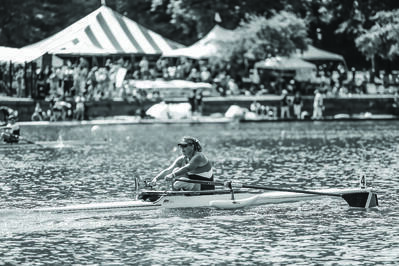 Darius Lopes, 21, of Philadelphia, was diagnosed with a mitochondrial disorder at 13 months old, but that hasn’t stopped him from being an active rower, and a participant in the BAYADA Regatta. Now in its 36th year, the BAYADA Regatta is the oldest and largest all-adaptive regatta in the U.S. It will take place on the banks of the Schuylkill River on Saturday, August 12 from 8 am to 5 pm at St. Joseph’s University Boathouse, 2200 Kelly Drive in Philadelphia. 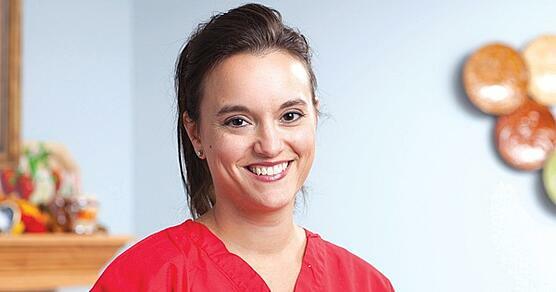 BAYADA Pediatrics Nurse Joy Miller loves helping children with special needs be safe at home. Winston-Salem resident Tom Mylet with BAYADA colleagues Dave Totaro, chief government affairs officer, and Lee Dobson, N.C. government affairs director, after receiving the prestigious Order of the Long Leaf Pine award at his retirement celebration on Saturday, September 27. 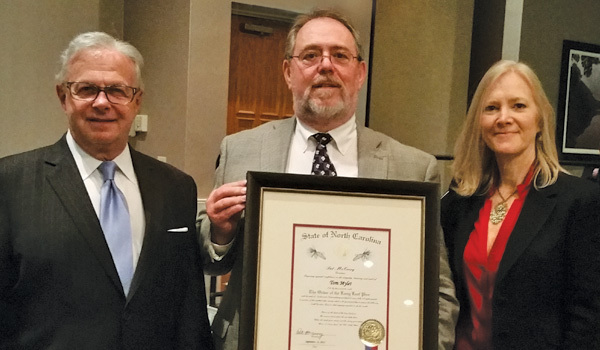 Winston-Salem resident Tom Mylet on Saturday received the most prestigious award conferred by the governor of North Carolina to a civilian, the Order of the Long Leaf Pine. Like so many others with amyotrophic lateral sclerosis (ALS), a debilitating and terminal neurological disease, Lisa D. lost her ability to walk, sit up, and breathe. 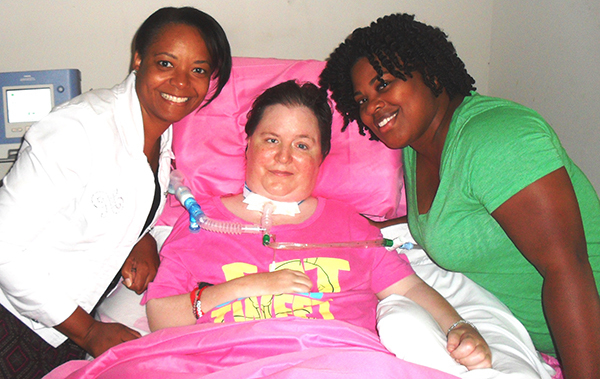 To connect the assistive device that would enable her to breathe, she needed a tracheotomy—a small incision cut in her neck. Following this procedure, Lisa could no longer speak, leaving her family heartbroken. Her family thought her inability to speak was a result of the disease. Bed bound for three years and only leaving her house for doctor appointments, her quality of life dramatically declined. Then, her family switched to BAYADA Home Health Care. Photo: L-R: Byron Boyd, director of the BAYADA assistive care office in Baltimore, Mark Baiada, founder and president of BAYADA, and Gwen Turner, president of the Maryland-National Capital Homecare Association (MNCHA). 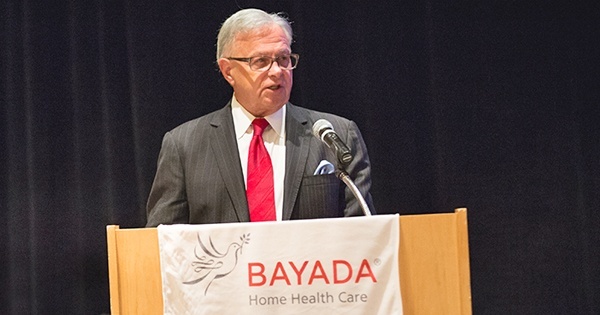 During the annual Maryland-National Capital Homecare Association (MNCHA) meeting, the Margaret O’Brien MNCHA Leadership Award was presented to BAYADA Home Health Care Founder and President Mark Baiada. The award represents the gold standard of home health care leadership and service in Maryland, and is given to a MNCHA member who best exemplifies Margaret O’Brien’s leadership and service qualities in home health, private duty, or the home medical equipment industry at the local, state, or national level. 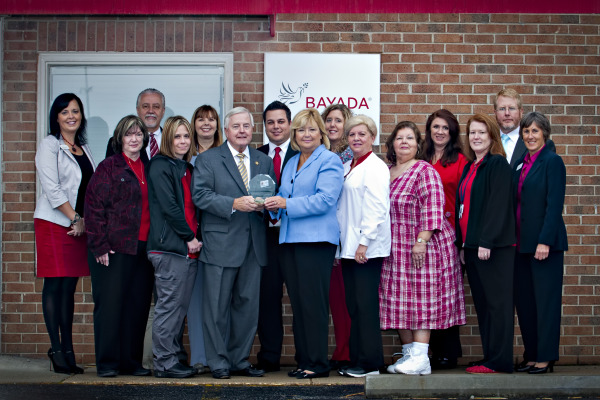 Marlton resident Rose Sample, a director with the BAYADA Pediatrics Camden County office, has been recognized as the national BAYADA Government Affairs Ambassador of the Year for her outstanding dedication to legislative advocacy on behalf of clients and staff. She was selected out of 137 Ambassadors throughout the organization for this prestigious honor. 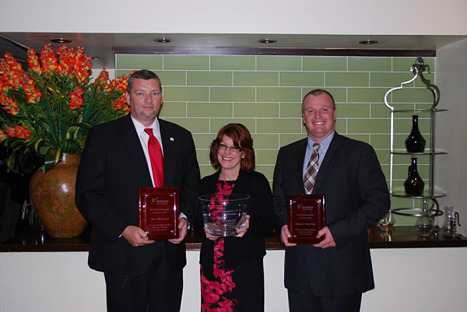 Michael Sokoloski from Jermyn, Pa., and Tom Minowicz from Shelby, N. C., were each named as the BAYADA Government Affairs Ambassador of the Year for their respective states. 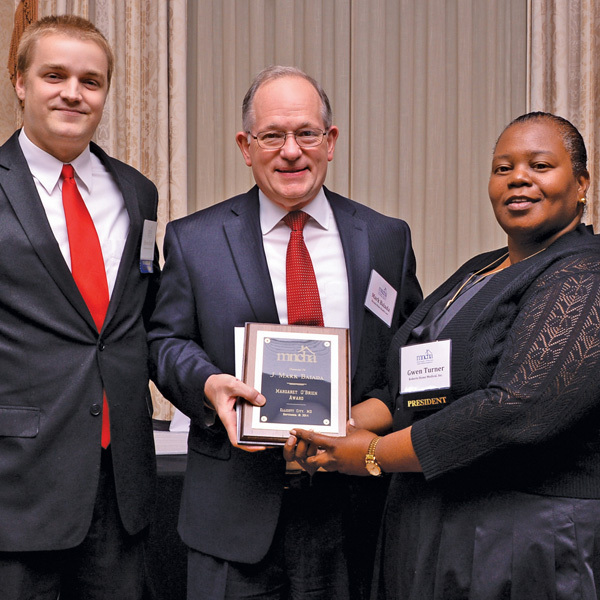 All three winners were honored at a celebratory dinner in Washington, D.C., on December 5. State Senator Jeff Brandes (St. Petersburg) visited Largo resident Glenda Turley on November 25 to learn about the merits and value of home health care. Turley, who receives state-funded personal care services from BAYADA Home Health Care three days a week, opened her home to Brandes to advocate for Floridians, like her, receiving high-quality, cost-effective care in the home. “She’s my legs,” Turley said, referring to her certified nursing assistant Morgan Henson, who provides 10 hours of care per week. Turley is dependent on insulin for her diabetes, and suffers from chronic pain syndrome, chronic obstructive pulmonary disease, and has a history of falls. “Morgan bathes me, clothes me, helps me get up and move around. I depend on her being here,” she added. Turley receives services under a Medicaid waiver program for Floridians who would otherwise require institutional placement, which would come with a much a higher price tag than a few hours a week of home care services.